It is with heavy hearts, the family of Phillip W. Snyder, announce his passing on August 27, 2018. Born January 3, 1935 in Louisville, KY and having grown up in the small town of Campbellsburg, Indiana, he played High School Basketball and the saxophone. After High School graduation, he attended Indiana University School of Business and graduated in 1956. Phillip wanted to work and live in a more cosmopolitan area, moving to Kansas City in 1956. There he went to work for Westinghouse and Bendix, before settling into the Insurance industry. He worked for Safeco Insurance as an underwriter from 1963 to 1979. 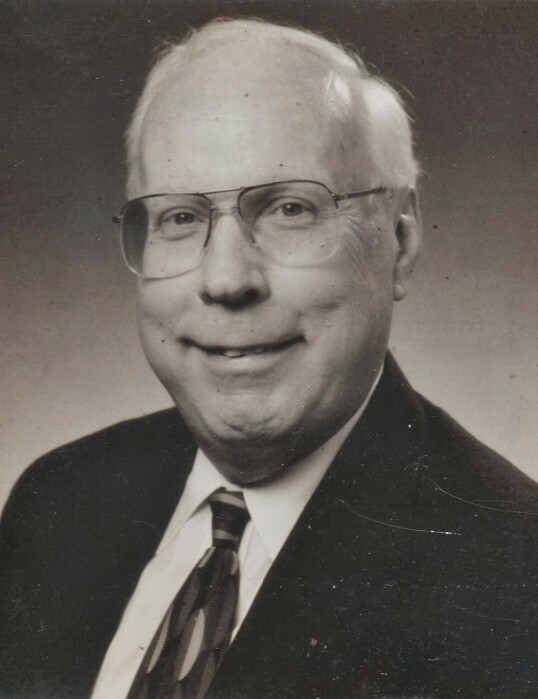 Phillip eventually retired from the Federated Rural Electric Insurance Exchange as a Senior Vice President in 1996. He met the love of his life, Ruth Gilchrist, in Kansas City, New Year’s Eve 1956. By August of 1957 they were married and in 1960, had their only child, Susan Elizabeth. He and Ruth spent 61 years together, working and traveling the world. One memorable trip was to see their daughter, son-in-law Fred L. Wood and 2 grandchildren Eric Lee and Amanda Marie at Yokota Air Base, Japan. Their son- in-law, Fred, is a retired Lt Col from the United States Air Force. Phillip was a Mason for 50+ years and a member of The United Methodist Church of the Resurrection. He logged numerous hours volunteering at St Joseph’s hospital, Menorah, and St. Luke’s South. He also did Meals-on-Wheels and Catch a Ride. Phillip would like to be remembered as a loving husband, father and the “Gramps” who was their Santa Claus, by his grandchildren. Phillip is preceded in death by his parents Grover and Gretna Snyder, his sister-in-law June Merriman, brother-in-law Don Gilchrist, and sister-in-law Peggy Gilchrist. He is survived by his wife, Ruth, daughter Susan, her husband Fred, their two children Eric (Joni) and Amanda, his brother-in-law Jim Gilchrist, sister-in-law Terry Gilchrist and numerous nieces and nephews. A visitation will be held from 10-11 AM, with graveside service to begin at 11 AM, on Friday, August 31, at Johnson County Funeral Chapel and Memorial Gardens in Overland Park, KS. In lieu of flowers, Phillip and his family request donations be made to the American Cancer Society in his name, American Cancer Society, P.O. Box 22478, Oklahoma City, OK 73123.